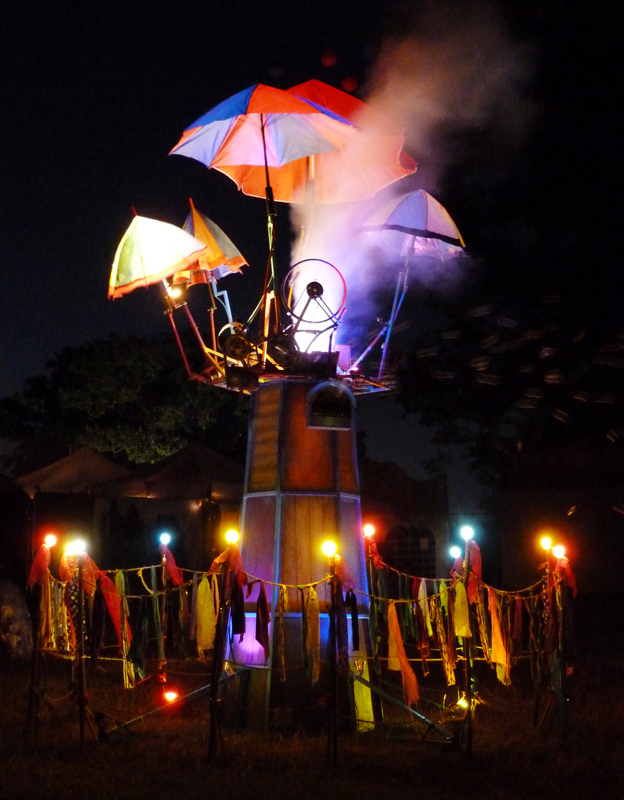 UmbrellaTree from Rag and Bone on Vimeo. 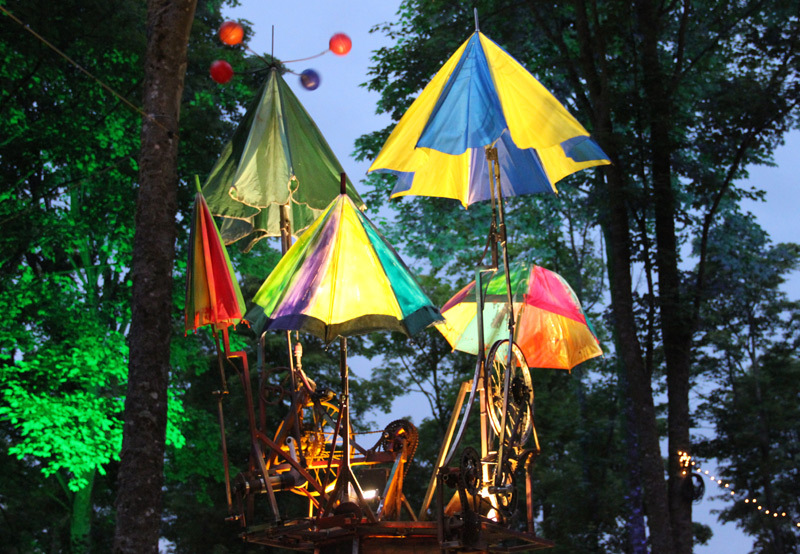 The Umbrella Tree is the first manifestation of an ongoing project we are calling Tatterdemalion Grove. 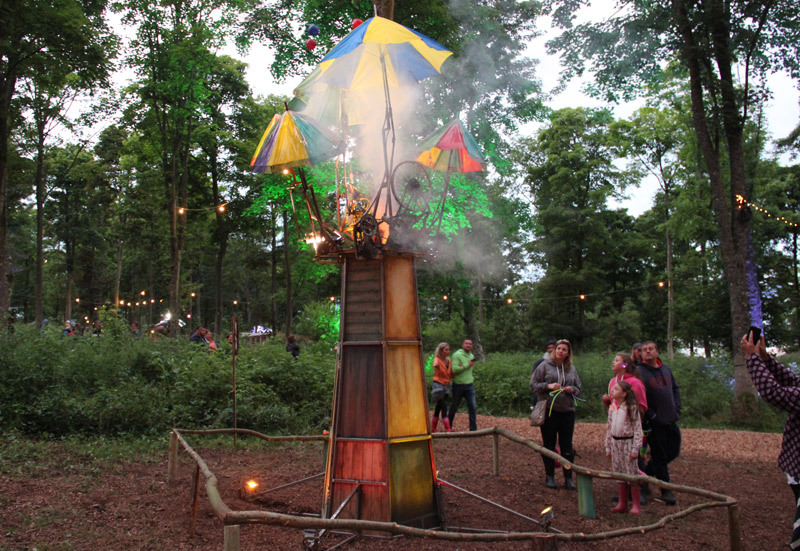 The Umbrella Tree is a botanical mechanical contraption designed to bemuse, baffle, delight and amuse children of all ages. 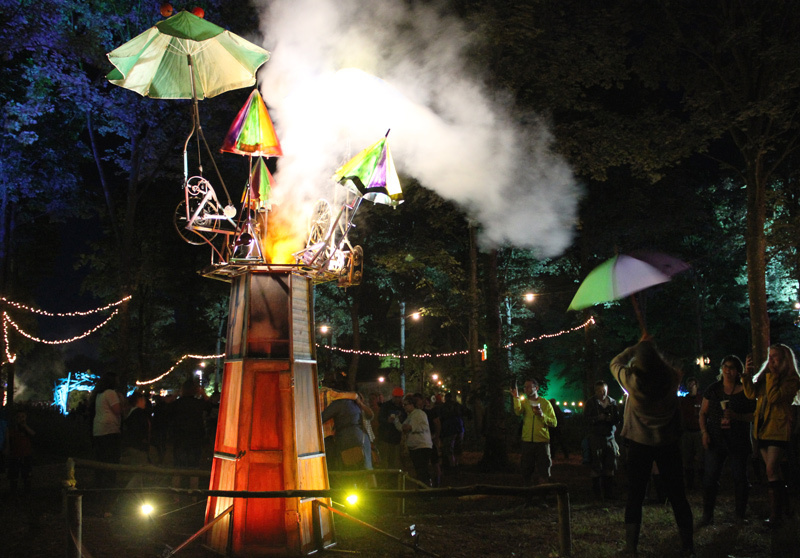 Audiences discover it in the landscape singing to itself and dancing its strange mechanical ballet.The four metre high structure weaves a creaky choreography of mechanically operated umbrellas, lights and smoke. 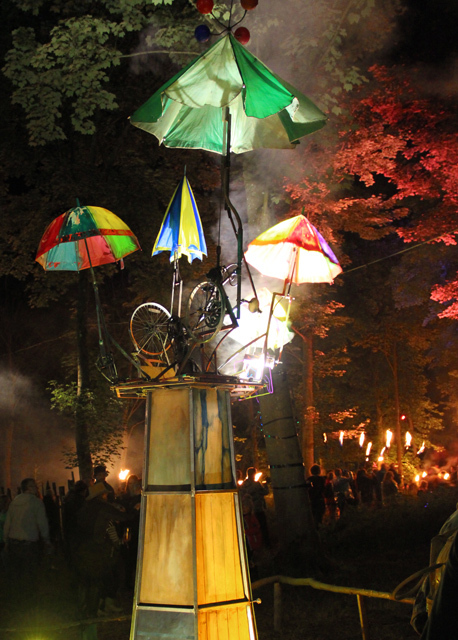 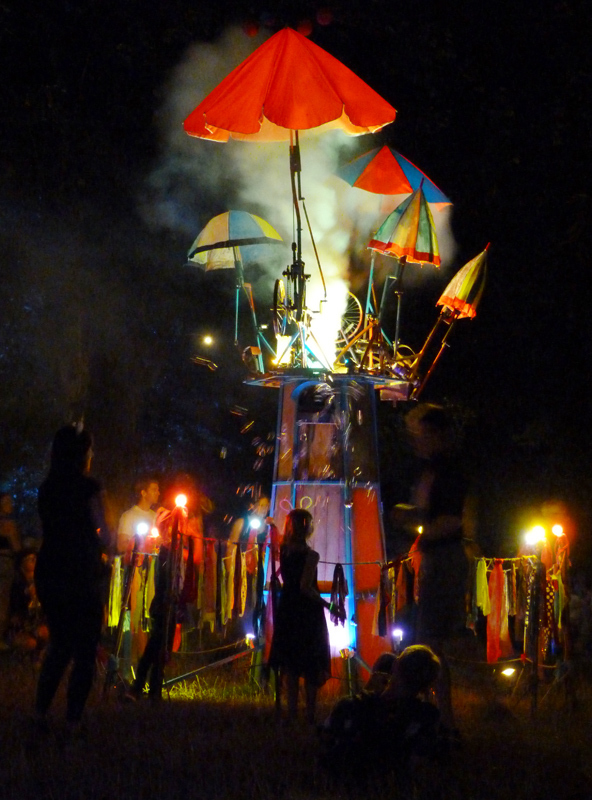 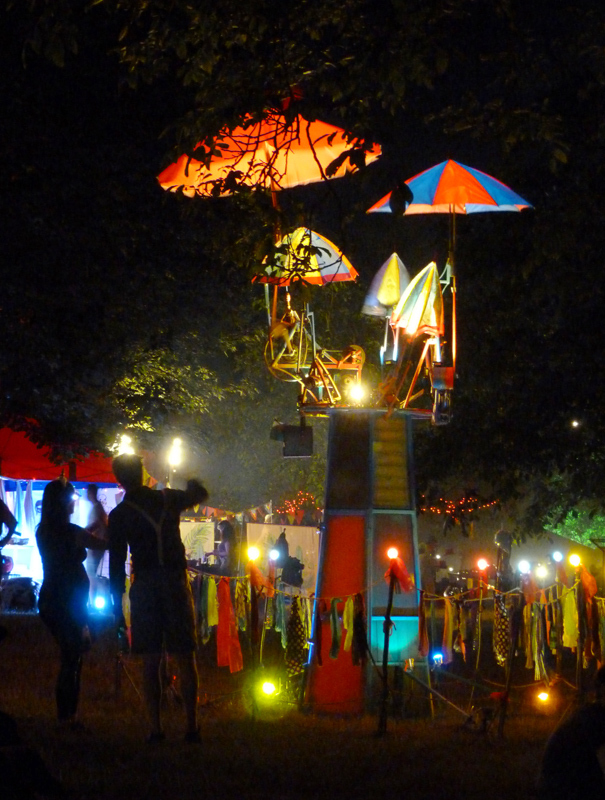 The Umbrella Tree was commissioned by Kendal Calling and Walk the Plank for Lost Eden …financially supported by Arts Council England. 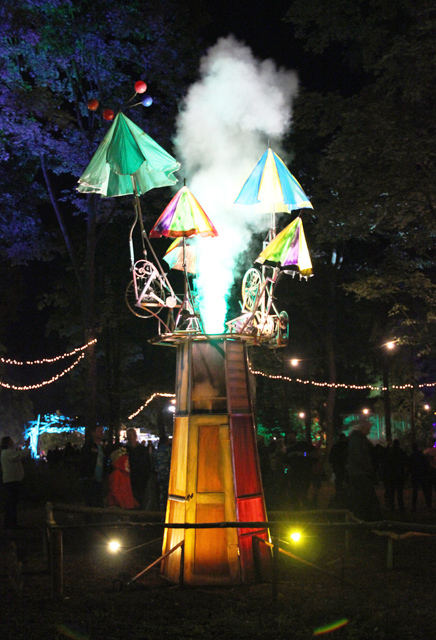 Its first outing was at the Lost Eden area of Kendal Calling Festival, July 2016. 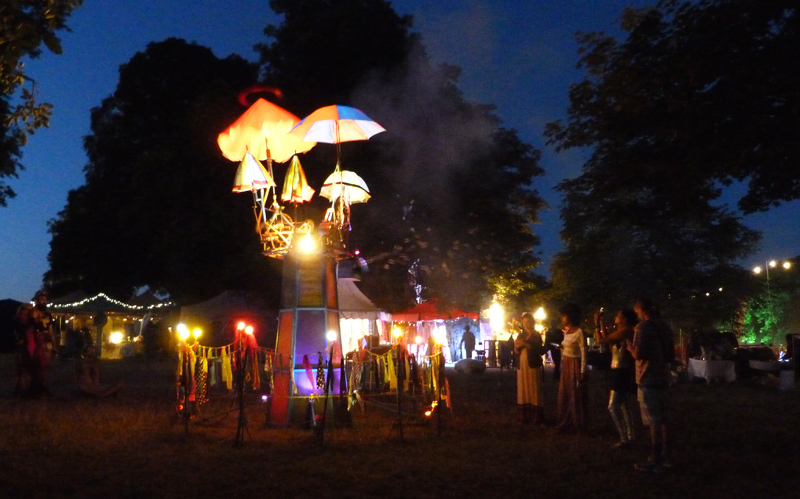 Disclosure to nerds: the Umbrella Tree runs on a custom built control system using Raspberry pi and Node Red technologies.